When it comes to support, you need to be able to help end-users whenever, wherever. 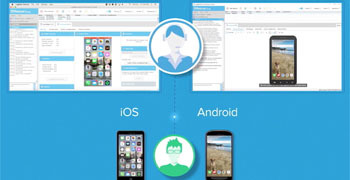 Rescue + Mobile allows IT and customer support teams to provide comprehensive, efficient support to not only PCs and Macs, but Android and iOS mobile devices as well. With Rescue’s mobile capabilities, technicians can easily configure email and WiFi settings, pull system diagnostics, view the device screen, and more. Learn how Rescue + Mobile can take your support capabilities to the next level.